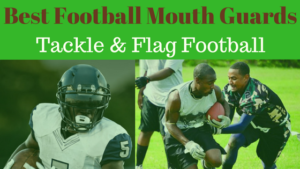 When it comes to football, it can be a game of direct contact for older children or non-contact as in flag football for young children. The purpose of gloves for each variation of the sport is pretty much the same, to give players the added confidence they need to catch the ball without the worry of dropping it and provide the necessary grip to hold on to the ball, make the tackle or flag pull. 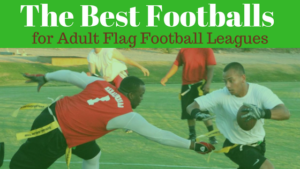 Below are reviews of the 11 best youth football gloves for kids that play tackle and flag football and one you should avoid purchasing. There are many brands and styles to choose to prepare for the 2019 season. Why are Gloves Important in Youth Football? What Can You Do to Maintain Your Kids Football Glove Stickiness? Nike Youth Vapor Jet 4.0 Football Gloves Review: Nike has designed a pair of gloves made from breathable synthetic mesh to keep hands cool and dry during play and practice. The palm features “Magnigrip” material to allow for maximum grip whether you are pulling flags or catching and holding onto the ball. They are lightweight with an adjustable closure to ensure a snug, customized fit. These football gloves come in six great colors so you can match them to your team uniform. Not only will they look stylish and accent any uniform, you can rest easy knowing you are wearing the “winner” when it comes to the best flag football gloves. Nike has cornered the market and created a pair of gloves that will perform great under pressure. National Flag Football Youth Football Gloves Review: These football gloves are specifically designed for 3-12 year olds and run smaller for little hands and are made for the young flag football players. The whole surface of the palm has a tacky surface that will stick to balls for added confidence and enhanced catching potential. The lightweight, breathable material allows air to circulate and prevents “wetness” while wearing them. The Velcro closing strap adjusts for a snug fit to keep them from slipping off. The red, black, white, and gray color accents look good with any uniform. They are perfect for flag pulling and catching the ball because of the extra tacky surface. These are definitely the “runner up” of the best youth flag football gloves. Battle Youth Hybrid Gloves Review: These gloves feature an “UltraTack” palm to enhance tackling ability. They are lightweight, comfortable, and breathable to prevent excess sweat during practice and play. There is finger and knuckle padding to protect those delicate digits. The wrist provides great range of motion and movement. They are available in different sizes to ensure a good fit. Nike’s gloves allow you to wrap up the tackle and keep moving. The reinforced stitching will hold up under the pressure of extensive use. Hands, knuckles, and fingers will be very well protected by the padding while you move around the field and take care of business. Cutters Rev 2.0 Receiver Football Glove Review: Although these gloves are called “receiver” gloves, they are great for running backs also. 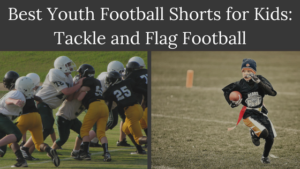 In youth football, all the way up to the high school level, the RB is going to catch passes out the backfield. They are lightweight and flexible and provide extreme grip for anyone wearing them. The “C-TACK” grip material lines the palm of the glove for ultimate grip and control. Stretch, breathable fabric runs along the back of the glove to provide flexible comfort. They come in four color choices to match any uniform. Not only do they perform in any weather condition, the compressed neoprene cuff is adjustable for a customized fit. Your fingers will not slip off the ball because the finger-lock gussets prevent any type of slipping. Franklin Sports Youth Receiver Gloves Review: These youth receiver gloves have high tack rubber palms to make catching the ball much easier. There is an elastic wrist to ensure a super secure fit and prevent the gloves from slipping or rolling up. The jersey cloth material is durable and long-lasting to hold up to the pressure of non-stop play on the field. They come in three sizes (small, medium, and large) and a variety of colors to match any uniform. You will not have to worry about catching or dropping the ball as long as you have these on your hands. The strong grip on the palms will make catching easy as can be. Wilson MVP Youth Linemen Gloves Review: These are some of the best youth gloves for the linebacker position. They feature strong, padded back construction and a silicon grip for any and all weather conditions. A reverse, loop and hook closing ensures they will stay snug and comfortable during playing time. The lightweight fabric allows for superior ventilation and the padded palm provides even more protection. The reinforced thumb-index finger extension spots increase durability and mean they will hold up to extended playing time. Your fingers and hands will be safe and protected as your child makes amazing tackles on the field. There will be no stopping your kid with these gloves on! EliteTek RG-14 Football Gloves Youth Review: These gloves feature a super sticky grip to help you hold on to the ball better. The “Grip Palm Technology” holds up in all weather conditions. They fit super tight and feel like your natural skin when you have them on. There is special stitching at all stress points so they hold up well with constant wear. They maintain their grip, game after game. The gloves come in three great colors and match all types and styles of uniforms. An extremely tight fight and slip-on style means there are no cumbersome straps to worry about. You won’t have to worry about dropping or catching the ball while wearing these. Battle Ultra Stick Youth Gloves Review: These football gloves feature a “PerfectFit” material for maximum comfort. They are lightweight and breathable for great performance on the field. The Velcro closure at the wrist allows a snug fit and great range of motion. Reinforced stitching and wear points mean they will last for the entire season. The red, white, and blue design shows your patriotic spirit and love for your country. There is no limit to what you can achieve while wearing these lightweight gloves. You will be able to catch and hold on to the ball with ease as well as tackle and hold on to your opponents. Under Armour Boys F5 Football Gloves Review: These Under Armour gloves feature HeatGear material to ensure hands stay cool and dry at all times. The custom fit closure ensures a super snug fit at all times. The Armour GrabTack in the palm provides great catching ability and allows you to hold on to the ball better. The seamless, one-piece palm is comfortable and easy-to-wear. Like most Under Armour products, they come in a variety of colors and you have nine to choose from. You’ll be able to catch and hold on to the ball with ease, and you’ll look great doing it. You can’t go wrong by choosing these gloves as an addition to your football gear. Seiberton Pro 3.0 Elite Ultra-Stick Sports Receiver Football Gloves Youth Review: These football gloves feature durable and flexible fabric on the back of the hand. They considered one of the best youth football gloves for kids because they provide superior performance and grip to catch and hold on to the ball. Not only do they perform well in all weather conditions, they are machine washable for easy care. 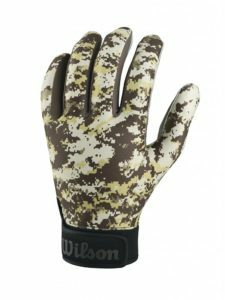 You’ll be able to comfortably maneuver around the field while wearing these gloves and you’ll be able to catch anything thrown your way. The grip is ideal to hold on to flags or opponents as you crush the competition on the field. The cool black color accents all uniforms and the silver trim makes anyone stand out. Wilson Sporting Goods Youth Super Grip Special Forces Football Receivers Gloves Review: Wilson has designed a pair of comfortable, lightweight football gloves with increased grip to help hold on to the ball better. There is a Velcro closure at the wrist to ensure a snug fit while wearing and playing in these gloves. The camouflage design matches the NFL’s military days so you can show your patriotic spirit while wearing them. The grip is strong enough to grasp and hold onto flags and opponents; it will keep the ball right where it needs to be, in your hands. They hold up in all weather conditions and the durable fabric will last throughout the season. Battle All American Youth Football Gloves Review: Although these gloves are designed to be lightweight and breathable, they do not fit as snug as they need to ensure a strong, firm grip on the ball or a flag. The palm does not provide as much stick to hold onto the ball as other gloves on the market for youths. In the end, although they look good, they may not provide the durability to hold up to extended use throughout the season. They also do not provide strong grip needed during challenging weather conditions like rain. Nike: Nike is definitely your best bet when it comes to football accessories for your child. Their football gloves are priced mid-range and come in a variety of sizes, colors, and styles. Nike has been in business for decades and they are known for making durable clothing, equipment, accessories, and shoes that last for years. They are one of the largest sporting goods manufacturers and have been around since the company was founded in 1964. Nike’s familiar “Swoosh” logo is known worldwide and is found on all their products. You can’t go wrong by selecting their products, because you are choosing time-tested products that have been on the market for decades. They are the largest supplier of footwear and clothing in the world. Under Armour: Under Armour was founded by Kevin Plank, a special teams captain of the University of Maryland football team in 1996. No one would know the ins and outs of football gear like an actual player. Plank designed the special “moisture-wicking” material that is present in many of Under Armour’s apparel. By selecting Under Armour products and accessories, you are buying products designed by someone that actually played football. He knows exactly what is needed to excel on the field and has designed his equipment and accessories accordingly. Although it is one of the newer brands on the market, Under Armour has proven itself to be a company that will be here for the duration. Athletes around the world wear the products and use the equipment to improve their performance on the field or court. The products may be priced slightly higher, but they are well worth it to wear football accessories designed by someone that knows and understands the game inside and out. Adidas: Adidas has been on the market since 1949 and prides the company Reebok among their subsidiaries. They manufacture accessories, clothing and shoes and are the largest European sporting goods manufacturer and it is second largest manufacturer in the world. The company specializes in football kits and provides products for many international clubs and football teams. In additional to supplying teams, Adidas also supplies the referee kits for officials used by numerous countries and leagues all across the world. 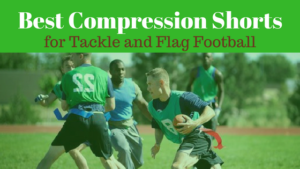 If you select their products for your child, you will be buying from a company that has been around for a long time and specializes in manufacturing products specifically geared toward the sport of football. In many cases, wearing gloves is not required because football players have been catching the ball bare-handed for years with no problems. Some coaches even believe that players are using gloves as a crutch when they will be able to catch the ball just fine without special gloves, and that many young players wear them for fashion and to enhance the look of their uniform. 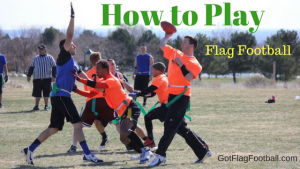 In flag football, where no contact is allowed, gloves are worn to give young players the extra grip they need to grasp the flag and pull it without it slipping from their hands and to catch passes confidently without the worry of losing control of the ball. In tackle, gloves help protect the hands of the players as they block against players of the opposing team. You’ve been given all the required information about specific brands and the varieties of products they offer. As you research specific products to determine which ones will work best for your child and the sport they will be playing. Of course, you should consult with the coaching staff and your budget to make sure you know exactly how much money you have to spend on clothing and equipment. 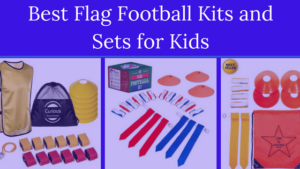 There is little difference between the gloves used for flag and tackle football so your child’s coach would be the best reference on which type you should buy. 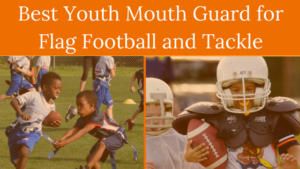 As young bodies are still growing and maturing, it is important to make sure they have the best possible protection when they are playing football. Football gloves for flag football and tackle absorb the impact of hard hits and throws and prevent hyperextension and the bending backwards of fingers. Gloves will provide the padding necessary to keep bruises and abrasions from interrupting your child’s performance on the field. They need to be lightweight and flexible so your child will be able to move quickly and efficiently while practicing and playing. Gloves are the best way to make sure your child’s hands and fingers aren’t damaged while taking hits, catching the ball, and tackling opponents. There are different types of gloves for the various positions played in football. The differences are listed below. Gloves will protect your hands and give you additional grip to control and catch the ball. You should mainly be concerned with fit, flexibility, and weight. Grip Boost: An ideal way to keep your child’s glove sticky so they can hold onto the ball is to use a 100% legal polymer gel product to enhance the grip. It not only keeps your gloves in great condition, it’s non-toxic and bio-degradable so it won’t harm the environment. Simply apply the gel to the palm of gloves and let it dry. The fast-drying formula will have your gloves ready to hold onto to everything that comes into contact with them. This is the best way to get your gloves to function at their highest possible ability and you’ll get the most use out of them.